If this cake looks too plain jane for you – I advise you to think twice. I made this cake for a Sunday Supper with low expectations. I wanted a nice base for seasonal berries – but boy did this recipe surprise me. The cake stole the show. It is incredibly light and rich with deep almond flavor (from the almond paste that is easily found – mind from Fresh Market). You could certainly dress this cake up. But, this plain jane is practically perfect in every way. PS: This cake would go perfectly with the Beans Boro coffee that I’ll be reporting on tomorrow! Preheat the oven to 325°F, with a rack in the middle position. Grease and flour a 9-inch springform or cake pan and line the bottom with parchment paper. In a food processor, pulse the almond paste and vanilla paste until well combined. In the bowl of a stand mixer fitted with the paddle attachment, cream the butter on medium speed until light and fluffy, about 2 minutes. Add the almond-sugar mixture and mix on high speed until well incorporated. Add 2 of the eggs, mixing well to incorporate and scraping the sides of the bowl with a rubber spatula. Add 2 more eggs, mixing well and scraping the bowl, then add the last egg. Add the dry ingredients in 2 additions, mixing on low speed just until combined—do not overmix. Scrape the batter into the pan and smooth the top with a rubber spatula. 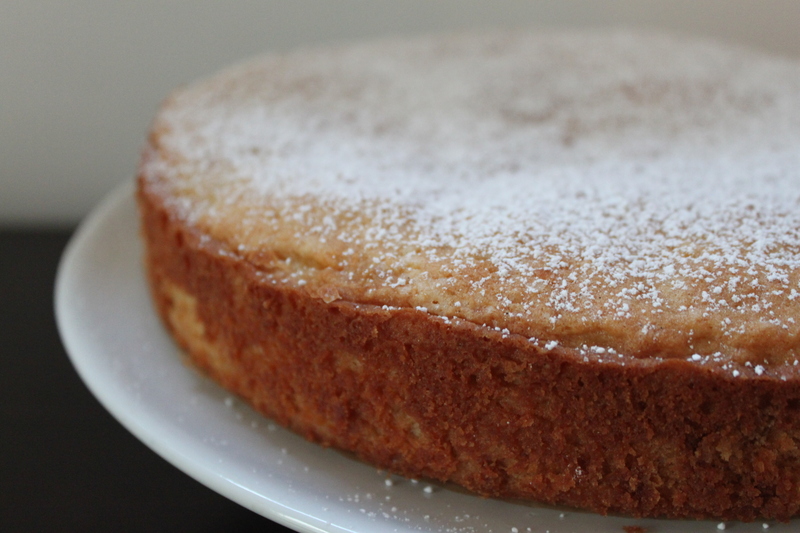 Bake for 1 hour, or until a cake tester or a toothpick inserted in the center of the cake comes out clean. Cool the cake in the pan on a rack for 20 minutes, then release the sides and cool for 30 minutes longer. Serve the cake warm, or wrap in plastic, while still slightly warm (the cake will keep for up to 2 days at room temperature). Dust the top of the cake with confectioners’ sugar before serving.